Ken Jaffe is a partner in the firm's Energy Group. He focuses his practice on regulatory matters affecting participants in restructured competitive energy markets, and he has extensive experience in utility mergers and asset transactions, the development and operations of regional transmission system operators, and regulatory litigation. Ken represents one of the largest, regional, independent system operators, as well as major transmitting utilities and market participants, in a variety of matters before the Federal Energy Regulatory Commission. Those matters include applications for approval of innovative transmission and market structures, transmission incentive rate applications, rate proceedings and disputes arising under power purchase, interconnection, and transmission agreements. He established leading regulatory and appellate precedents on the recovery of utilities' investments in prematurely retired nuclear generating plants, as well as the associated decommissioning costs, prudence issues, jurisdictional issues and regional market issues. 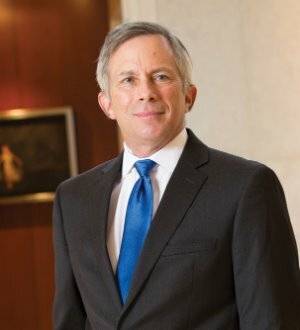 Ken has been featured as one of the leading energy lawyers in Washington in Chambers USA: America's Leading Lawyers for Business and The Best Lawyers in America. Best Lawyers named him “2012 Washington, D.C. Lawyer of the Year” in the energy area. He is a member of the Energy Bar Association and speaks regularly at the EBA’s meetings and seminars.